We look for opportunities to “open” a building by expanding its surfaces horizontally and vertically, in effect ‘fractalizing’ the exterior to create more contact with its surroundings, and to provide for “everyone a garden.” This approach both maximizes light and views, and fosters a sense of vertical neighborhoods. 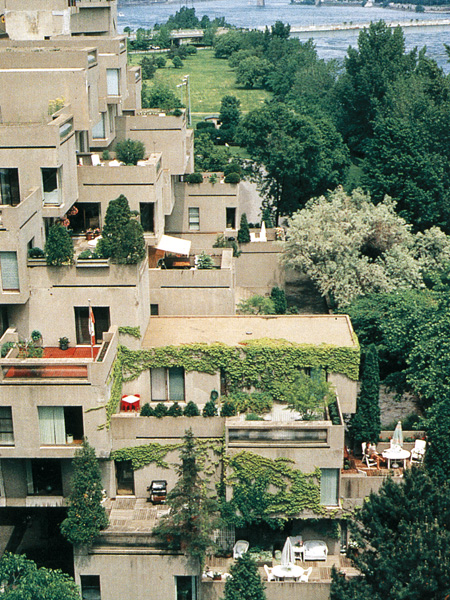 Each apartment becomes an individual home within a larger collective organization. 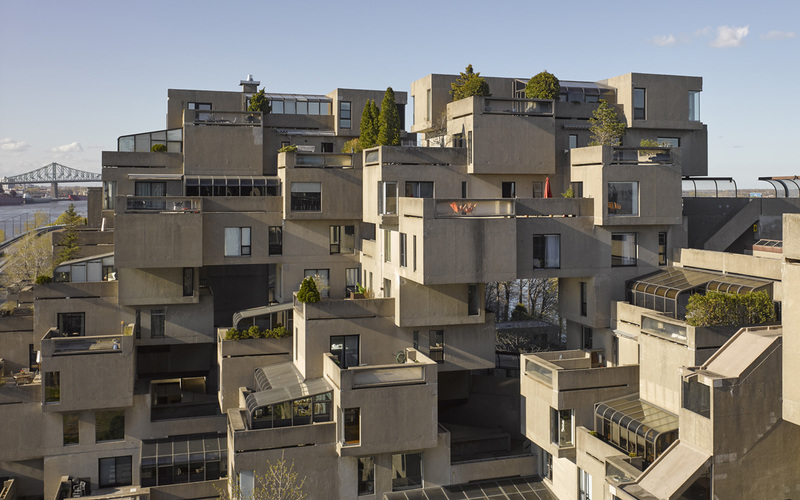 Habitat ‘67 was built as a central pavilion for Montreal’s 1967 World Exposition, and became the global symbol of the fair at the time and endures to this day. 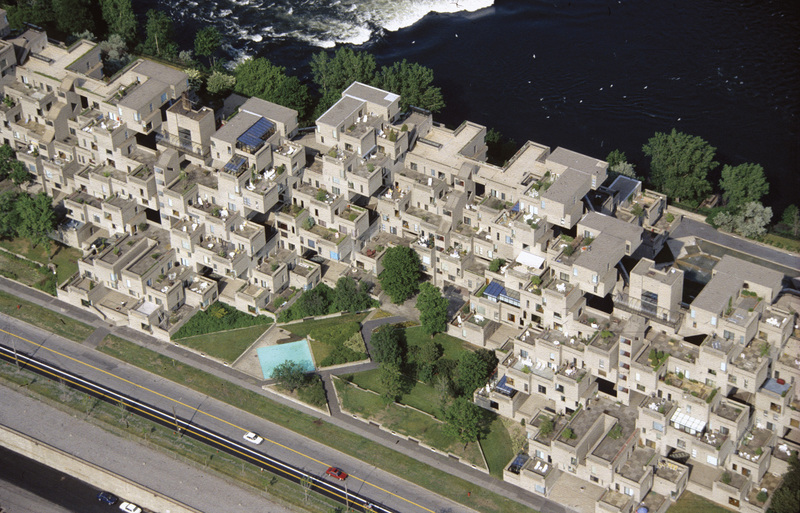 With the Expo theme of ‘Man and His World,’ Habitat reinvented urban housing to transform the standard of apartment living, particularly the sector of mass-produced affordable housing in the city, as an alternative to the stripped-down, Modernist towers proliferating in cities around the globe. The stacking of prefabricated concrete boxes, one atop the next, results in an architectural typology more akin to a village hillside than to a solid wall. 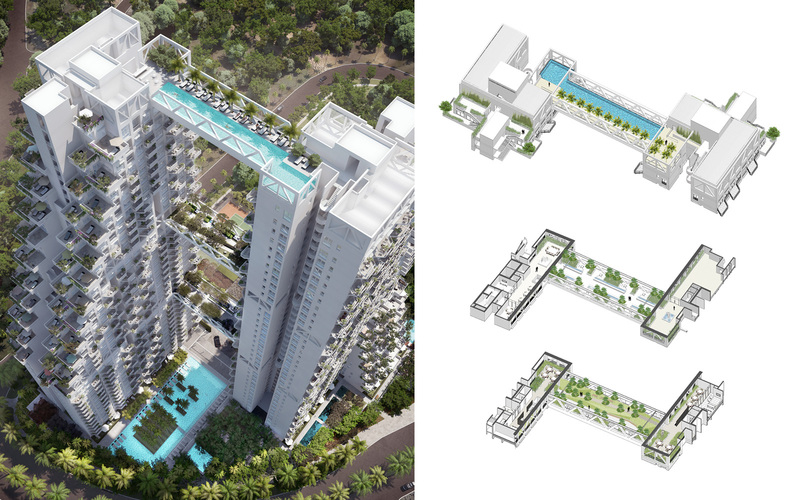 Each home has an outdoor garden terrace on the rooftop of its neighbor below. The building also creates many open, communal spaces, which fosters a sense of connection not common to this typology. 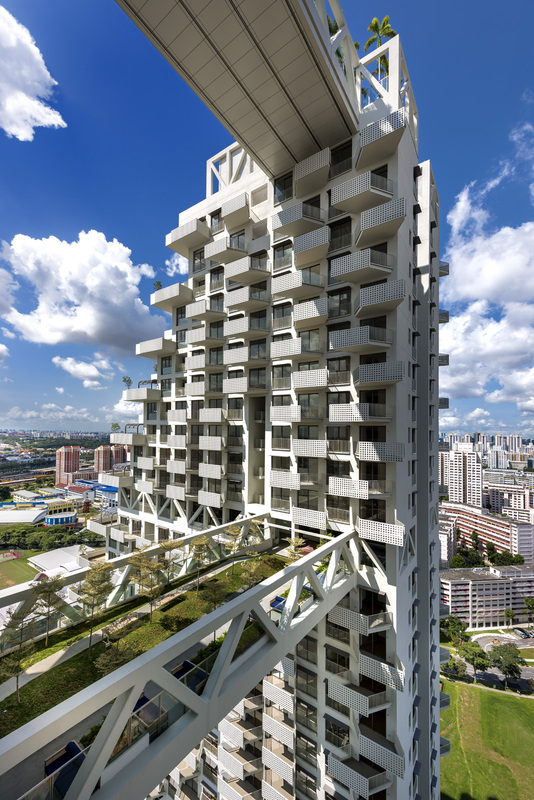 Sky Habitat in Singapore's Bishan neighborhood contains a total of 509 apartments, each with its own balcony, overlooking three bridging sky gardens that link the two stepping towers and create a series of interconnected streets, gardens, and terraces in the air, which provide a variety of areas for common recreation and congregation. As a result, the overall mass is porous and open, allowing breezes to flow through and daylight to penetrate deep into the structure. 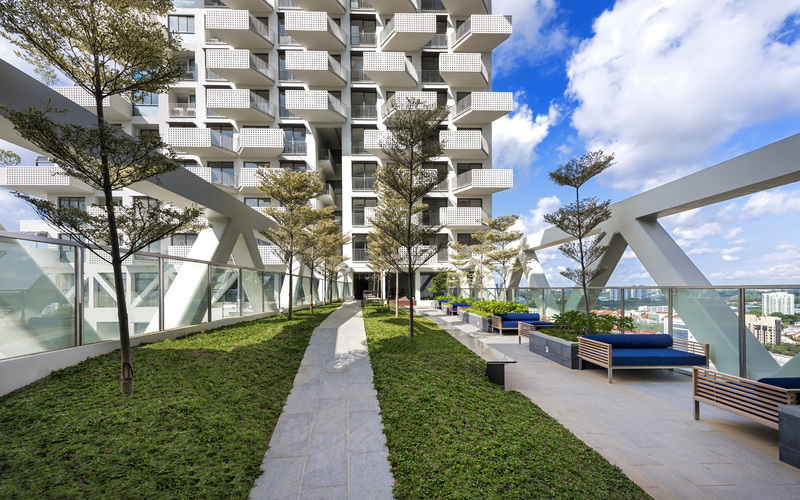 By breaking down the scale of typical singular tower residential development, the community-based solution of Sky Habitat is a more humane living environment and a more delicate urban fabric. The complex’s strong stepped form recalls the community texture of ancient hillside developments and provides for lush vertical greenery, multiple orientations relative to the sun, naturally ventilated units, and generous views, all without compromising planning or structural efficiency.